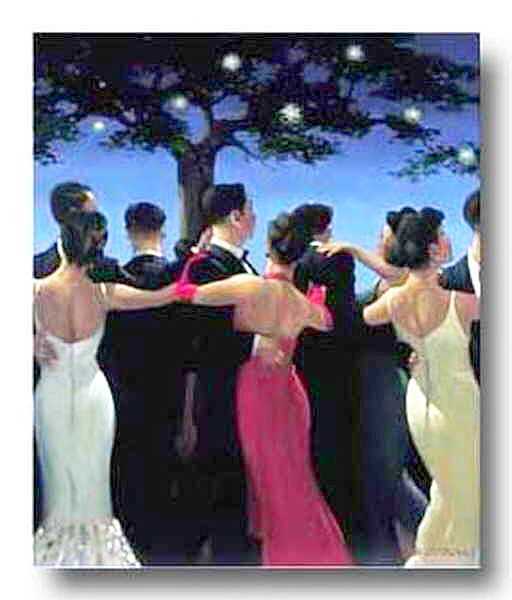 Jack Vettriano: Born in Scotland of Italian parents, Jack Vettriano began his career as a mining engineer in the Scottish coalfields, painting only in his spare time. Vettriano's paintings hint at stories of seduction and betrayal in a style that has been compared to some of the great realist painters of America and England. His work has been likened to that of Walter Sickert, Edward Hopper and the photographer Brassai, and to some show influences from Scotland's distinctive Colourist tradition.